Feed your dog a bone — that is, his favorite food in an oh-so-cute bone-shaped diner. 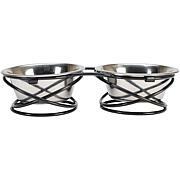 This charming dish features two stainless steel bowls — one for food, one for water — along with a non-skid bottom. 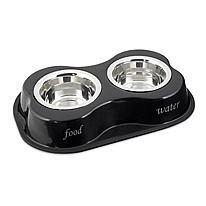 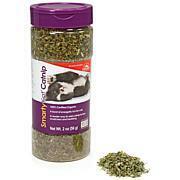 Now you can feed your pet in style and with a smile! 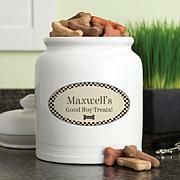 Very nice, I love the color.It is nice and sturdy, no more messes.